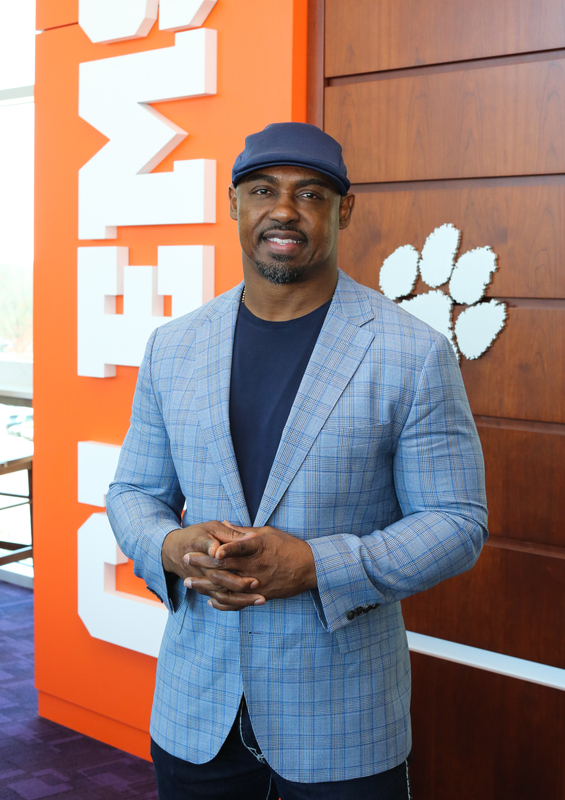 CLEMSON, S.C. — Former Clemson All-American Brian Dawkins was formally enshrined in the Pro Football Hall of Fame in an induction ceremony in Canton, Ohio, on Saturday evening, becoming the first former Clemson player to earn the honor. 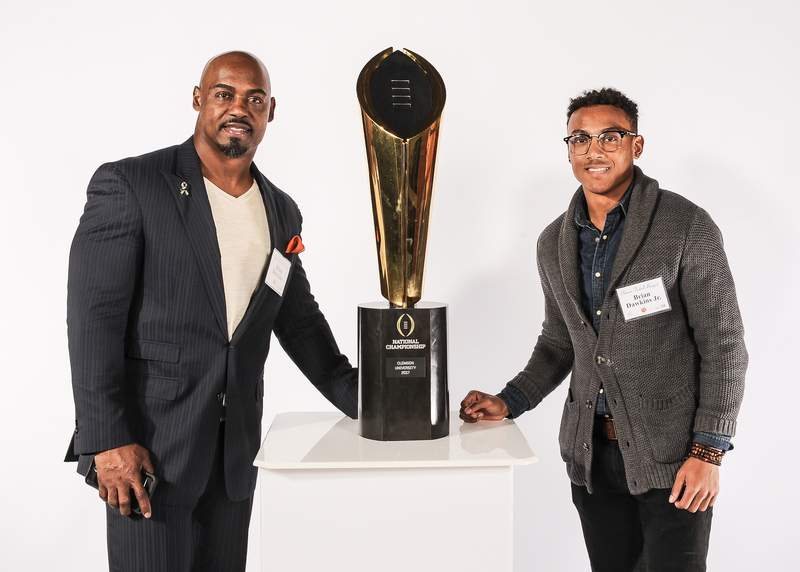 Dawkins was presented in part by his Clemson teammate and roommate, Patrick Sapp, who recalled Dawkins’ commitment to waking up in the middle of the night so the “undersized” safety could eat peanut butter and jelly sandwiches and spaghetti to add weight. The anecdote set the tone for an evening in which Dawkins, a native of Jacksonville, Fla, honored each step of his journey. 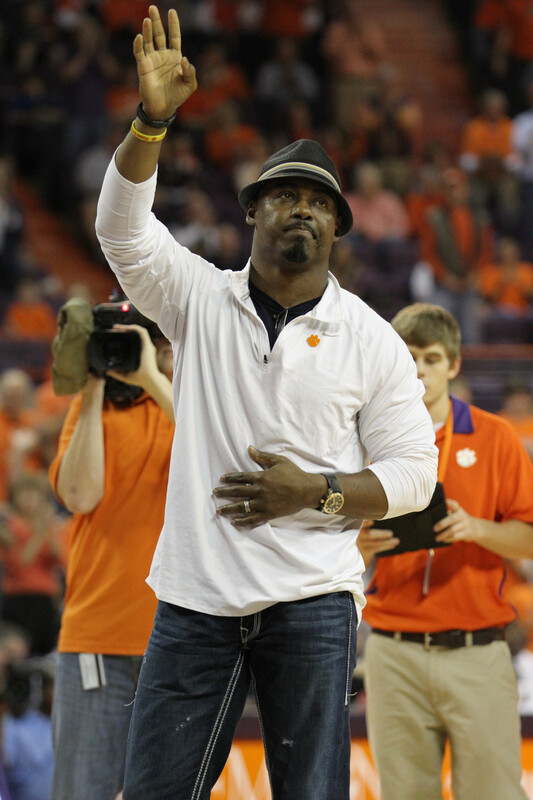 Dawkins lettered at Clemson from 1992-95 as a safety. He was named a second-team All-American by the Associated Press and The Sporting News after his senior year. 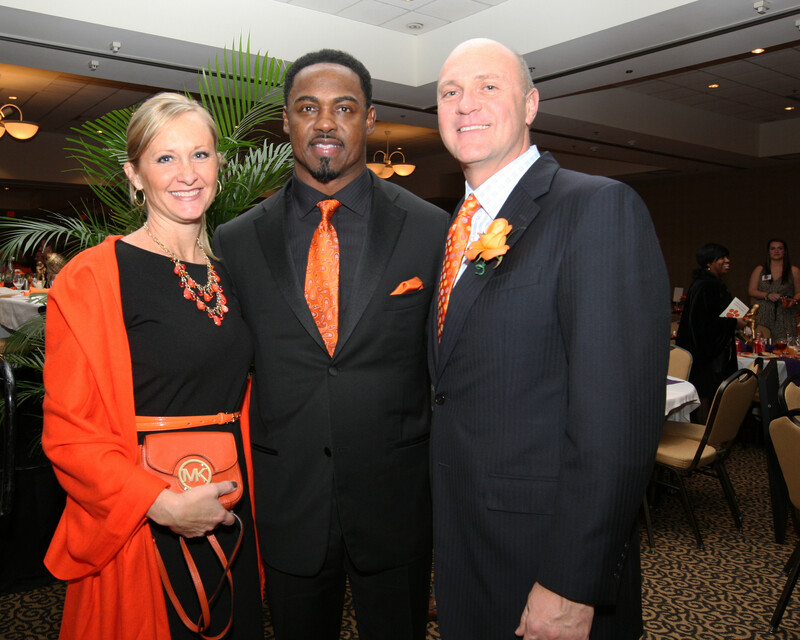 He was named a second-team All-ACC defensive back in 1993 and 1994, then was a first-team selection as a senior in 1995. 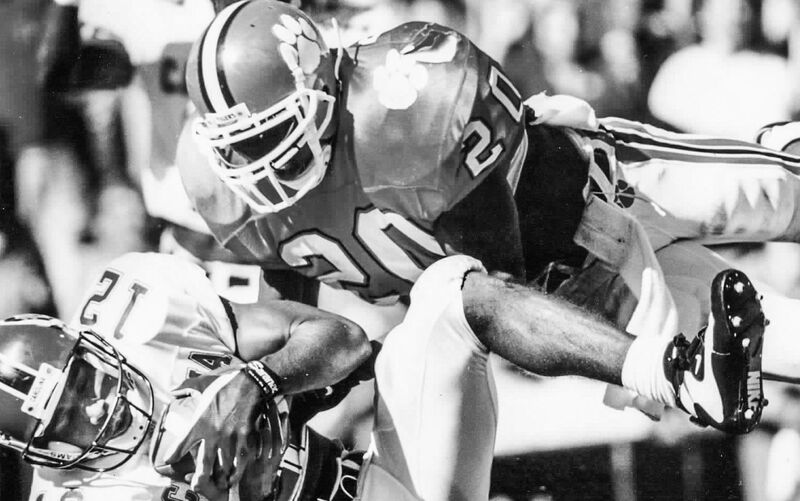 During the 1995 season, Dawkins recorded 89 tackles, including 60 first hits in starting all 12 games. His six interceptions led the ACC and ranked eighth in the nation. He also had nine passes broken up to lead a Clemson defense that finished 10th in the nation in scoring defense and 16th in pass defense. 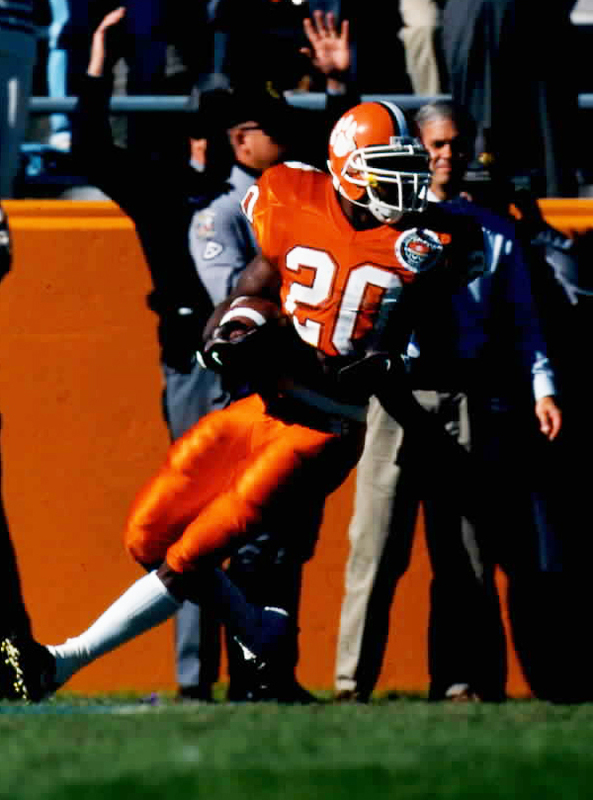 He tied a Clemson record with three interceptions against Duke in 1995. All three picks came in one quarter, as he remains the only Clemson player ever to have three interceptions in a single quarter. He was named National Defensive Player of the Week by Sports Illustrated for that performance against the Blue Devils. The Clemson graduate finished his career with 15 takeaways, still tied for fifth in school history, as he had 11 interceptions and four fumble recoveries. He finished with 251 total tackles in 46 games, 35 as a starter. He had four fumble recoveries, four forced fumbles and three blocked kicks. He had two sacks and nine tackles for loss to go with 23 passes broken up and 34 total passes defended. 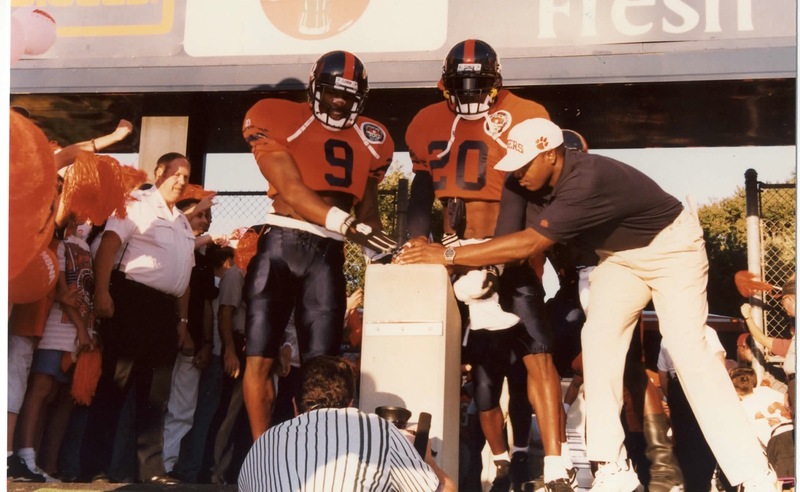 Dawkins played in the 1996 Senior Bowl, then was drafted in the second round (No. 61 overall) by the Philadelphia Eagles. Dawkins played 16 years in the National Football League between 1996 and 2011, He played with the Eagles from 1996-2008 and with the Denver Broncos from 2009-11. In those 16 years in the NFL he was named to the Pro Bowl nine times, more than any other Clemson player. In fact his nine selections to a professional all-star game are more than any former Clemson athlete in any sport. Dawkins was named to the NFL All-Rookie Team in 1996 and was an All-Pro selection in 2001, 2002, 2004, 2006 and 2009. Dawkins finished his pro career with 1,131 tackles 37 interceptions, 26 sacks, 120 pass deflections, 36 forced fumbles and 19 fumble recoveries in 224 career games (221 starts). The native of Jacksonville, Fla. is one of just six players in NFL history with 25 sacks and 25 interceptions in his career. He’s the only player in NFL history to record a sack, interception, fumble recovery and touchdown catch in same game against the Houston Texans in 2002. 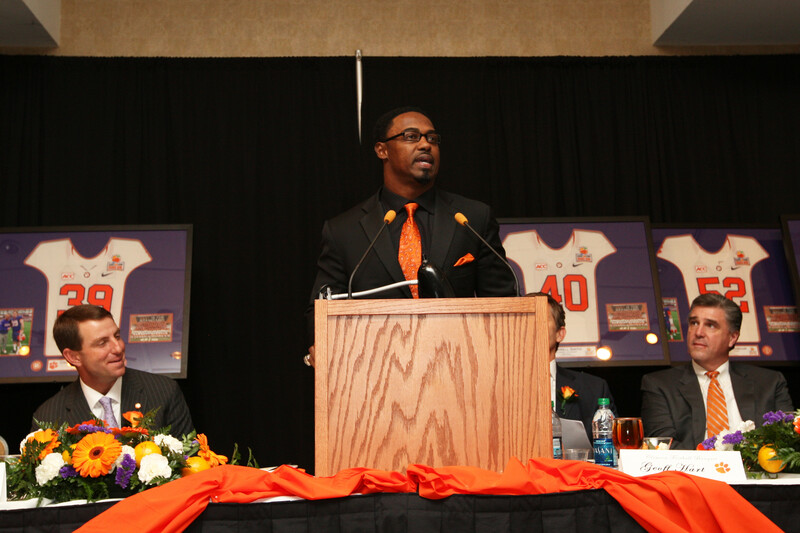 Dawkins was selected as a First Team member of the Pro Football Hall of Fame All-Decade Team in the 2000s. 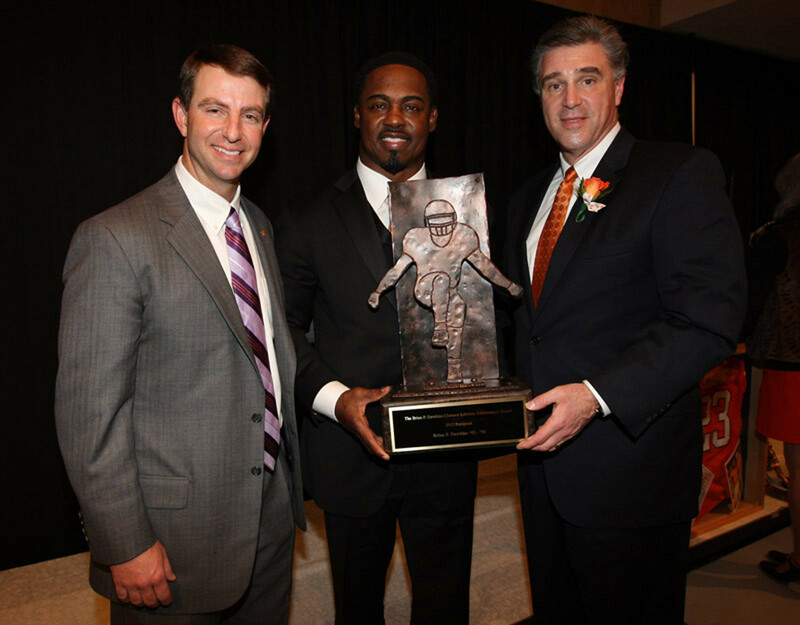 “Brian Dawkins has represented this football program, this University, with distinction for over 25 years,” Clemson Head Coach Dabo Swinney said upon Dawkins’ selection in February. 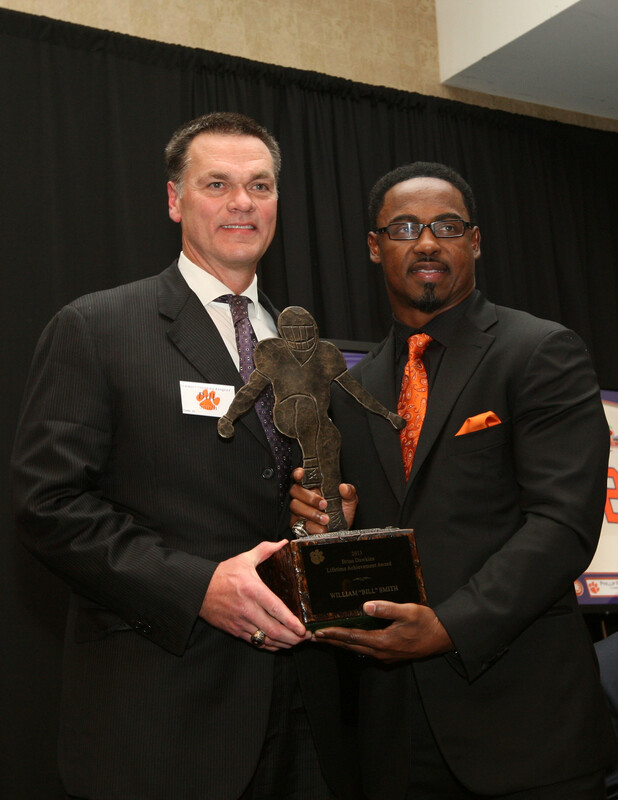 “He had a terrific career at Clemson, then had an even better career in the NFL with Philadelphia and Denver. “It was not just his accomplishments on the field, it is his character, his leadership, the respect that people have for him, that stand out. For years I have dealt with NFL scouts, coaches, and general managers, and I can’t tell you how many times they have told me stories of Brian Dawkins.